Team building with the basketball team. Noah Bailey won one of the weekly "Caught Being Good" raffles. Daisy Hernandez, our Rising Star of the Month for January. Emely Rosales was "Caught Being Good"
Brek O'Brien, Student of the Month. Livin' it up in the new cafeteria. The Blueprints arrive in Houston for the next level of competition. 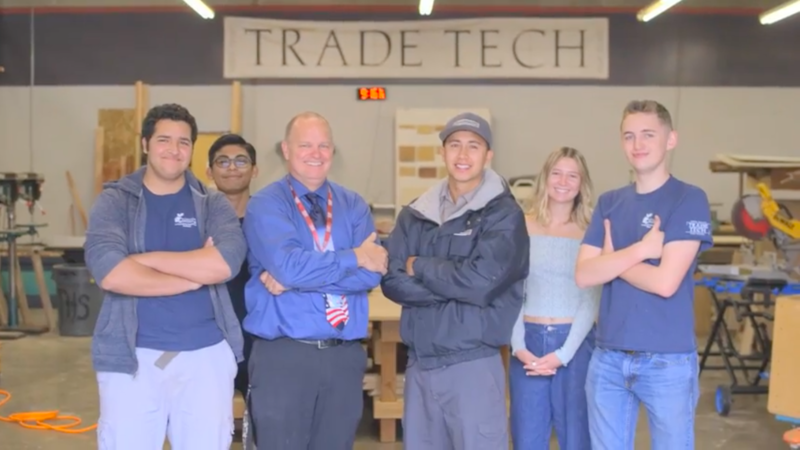 North County Trade Tech High School, an exciting, STEM-focused, tuition-free public charter high school. Now celebrating our 10th year of operation, we offer open enrollment year-round to high school students from all over the state who seek a rewarding and personalized alternative to a large public high school. This year we are especially excited to be able to serve more students at our new, expanded facility at 1132 North Melrose Drive in Vista.